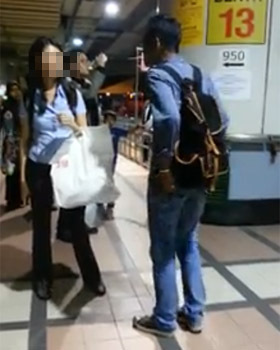 She asked for help, but no one stepped forward or even uttered a word. 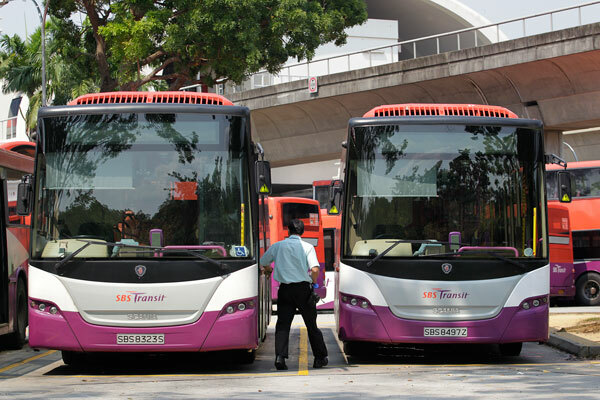 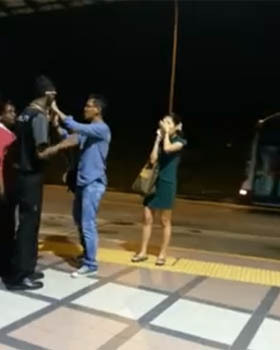 Mr Kumar, 45, and his wife, Madam Jaya, 46, were on their way home when he was physically assaulted by a passenger on board SBS Transit bus service 12. 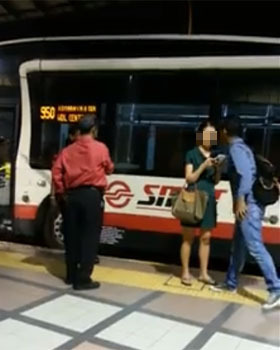 His wife tried asking other passengers for help but no one, including the bus driver, responded, they claimed. 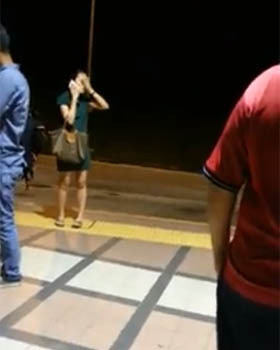 The incident happened on Monday at about 9.30pm. 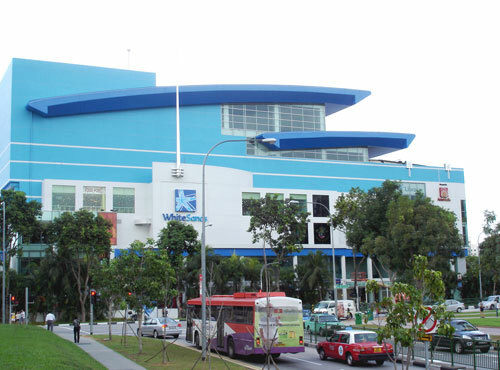 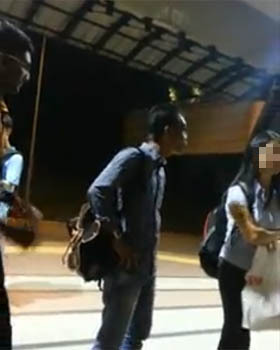 Mr Kumar, a security base controller, and Madam Jaya, a teacher, had just finished their dinner at White Sands Shopping Centre when they boarded their usual bus to go home from the Pasir Ris bus interchange. 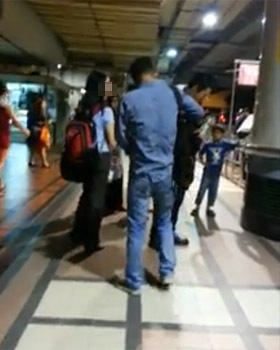 The couple have been living in Pasir Ris for almost 20 years. 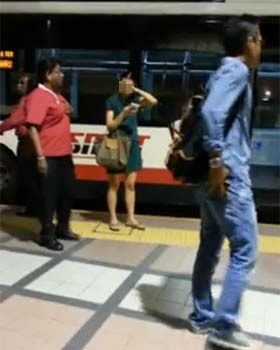 Madam Jaya took a seat nearest to the driver and Mr Kumar had just boarded when another passenger hurriedly got on the bus. 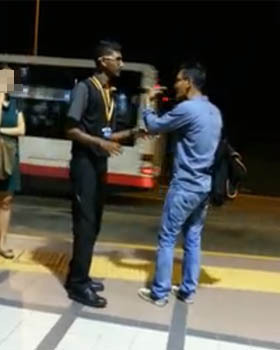 Mr Kumar said: "He ran up the bus and started swearing. 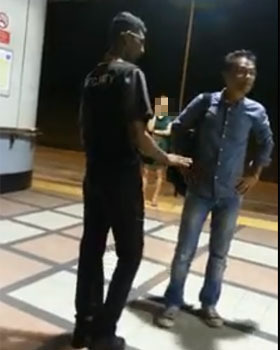 He also smelled strongly of alcohol." 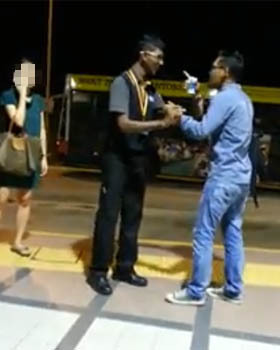 The man, whom the couple describe as being in his late 40s, tall and big-sized, turned to Mr Kumar and asked why he was staring at him. 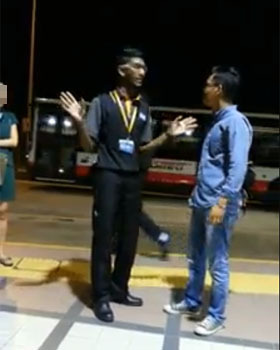 Said Mr Kumar: "So I asked who he was swearing at. 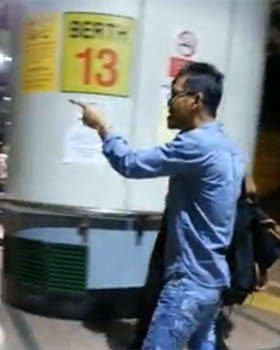 He said he was swearing at the bus driver. 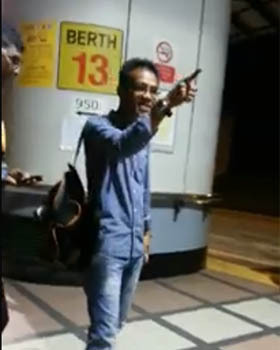 Then he started asking, 'Why not happy is it?' 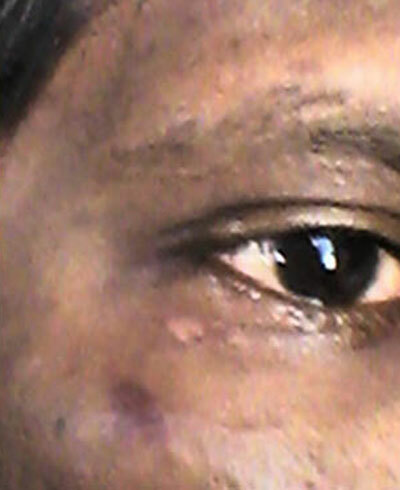 I knew he was just looking for trouble." 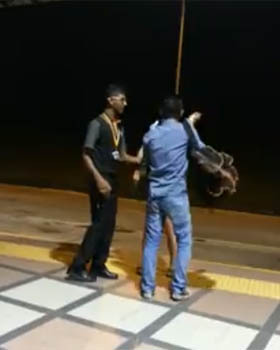 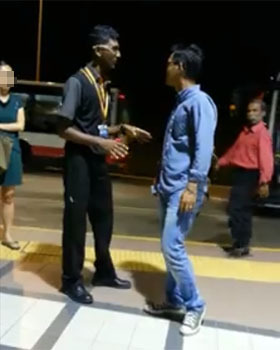 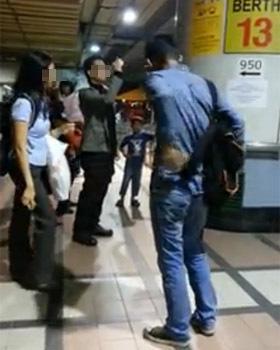 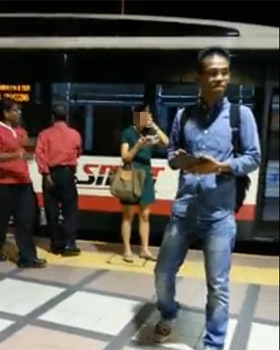 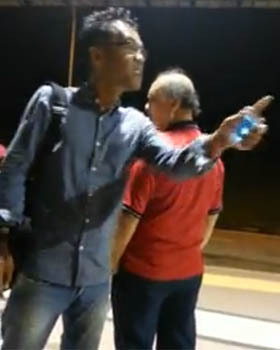 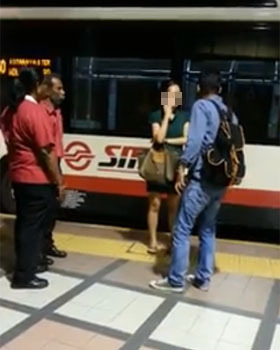 Mr Kumar tried to ignore the man, who continued to provoke him by challenging him to alight at the next stop to fight. 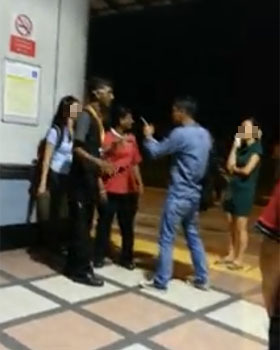 The couple then threatened to call the police. 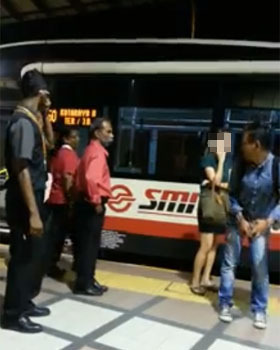 At this, the man lunged towards Mr Kumar, who was standing next to the driver. 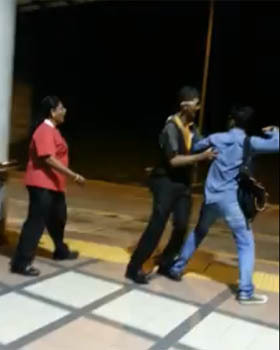 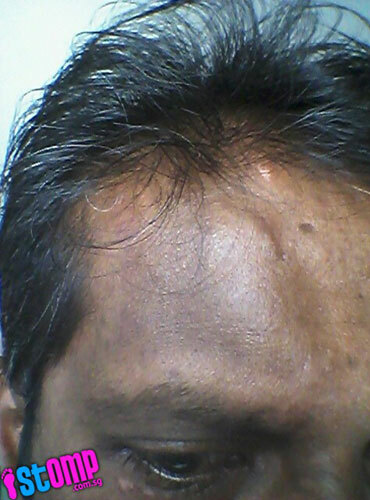 He punched Mr Kumar in the face, head and shoulders, and continued hitting him even when Mr Kumar fell. 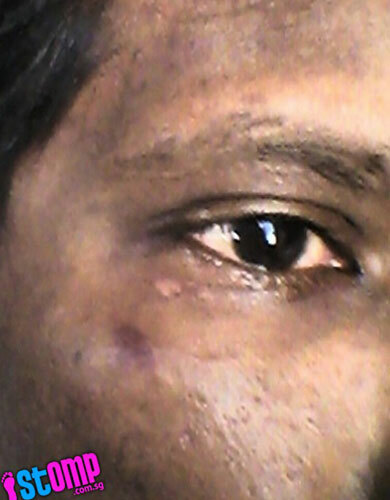 Mr Kumar said: "I was so shocked, I couldn't take him on. 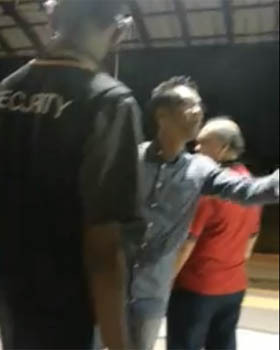 He looked to be about 120kg and I'm only 60kg." 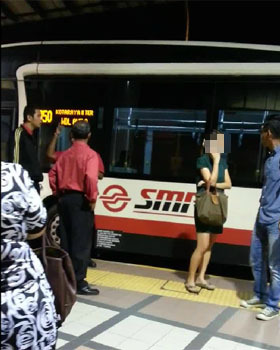 His wife got out of her seat to ask other passengers for help, but none responded, she said. 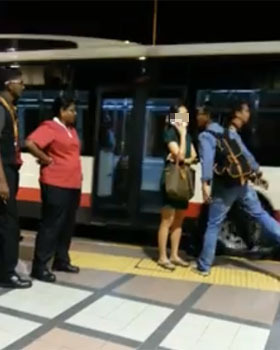 Madam Jaya said there were about five people seated in the lower deck of the bus. 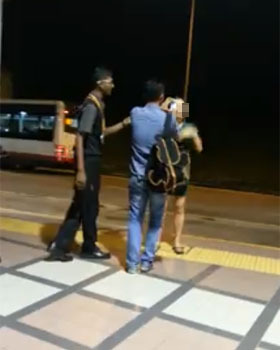 Pasir Ris resident Mr Kumar was beaten up by a burly man after he asked him who he was swearing at after he rushed up bus service 12. 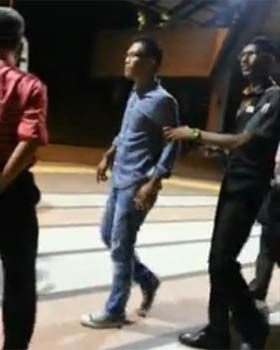 The tall and big-sized man punched Mr Kumar in the face, head and shoulders, and continued hitting him even when he fell. 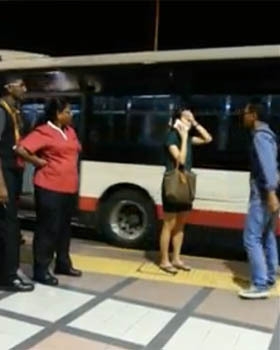 Mr Kumar's wife cried for help, but no one, including the bus driver responded, claimed the couple. 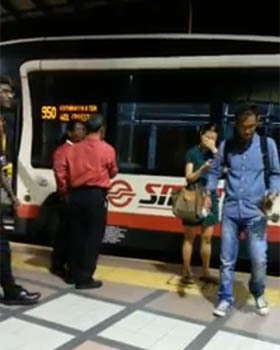 Mr Kumar and wife had just finished their dinner at White Sands shopping centre when they boarded their usual bus to go home. 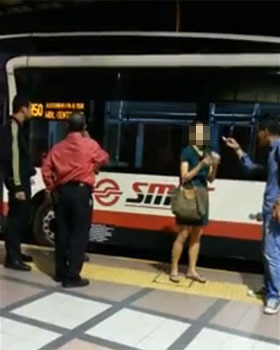 After boarding bus service 12 at Pasir Ris interchange with his wife, Mr Kumar noticed another passenger running up the bus and swearing. 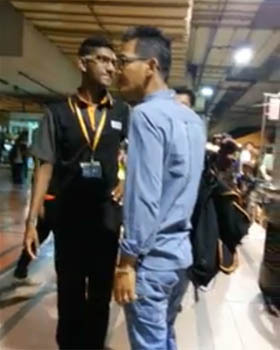 Mr Kumar was beaten up by the burly passenger when he asked him who he was swearing at. 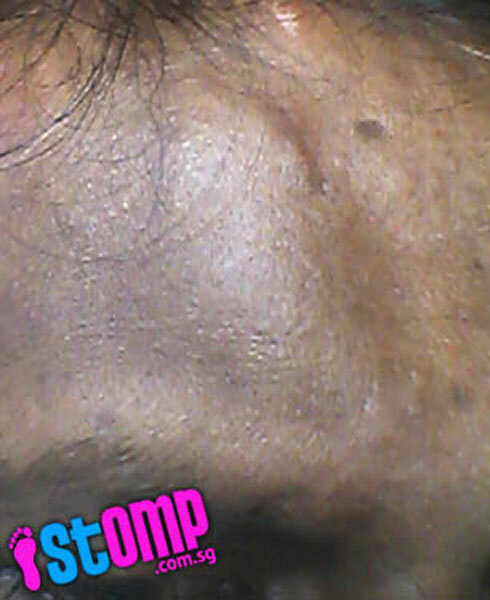 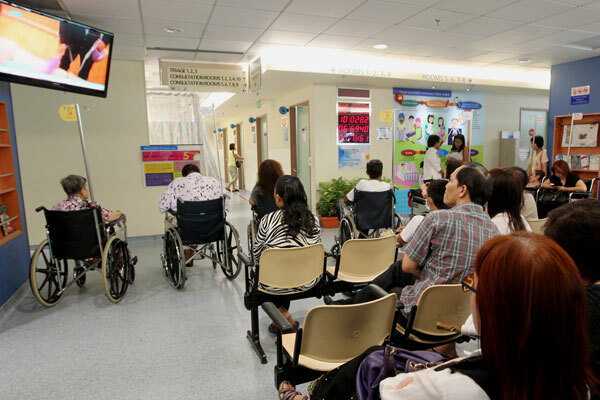 Mr Kumar was given six days' medical leave at Changi General Hospital for his swollen cheek and forehead, and bruises on the neck.